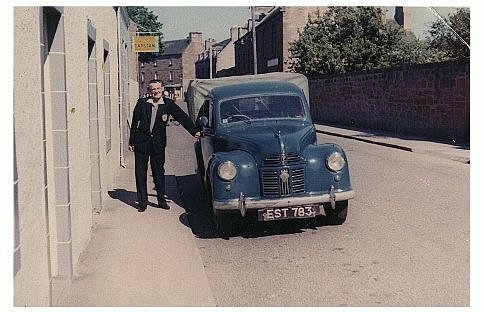 Cromarty Image Library - High St - c1960?? John William Macdonald outside 17 High Street. He ran the shop known as "Eva and Johnny's" with the Capstan Sign above it. The inside of the shop can be seen in picture #474. The shop later became 'Macbeath's Sweetie Shop' during the late 60s. visited Cromarty in 1999 brought back loads of memories.